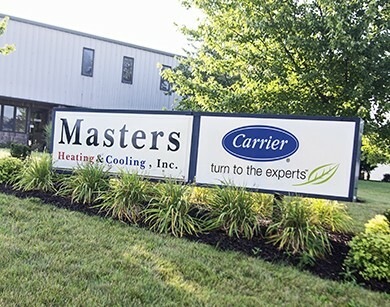 According to its website, Fort Wayne is known for its high quality of life, low cost of living and warm Hoosier hospitality, which makes it the perfect location for the corporate offices of Masters Heating and Cooling! “Masters gets there faster” with 6 locations to serve you better. Like our beloved Fort Wayne, Masters is committed to providing quality service, at an affordable cost with a hospitable attitude. Whether you are a home or business owner, we can meet all your HVAC and plumbing needs, night or day, 7 days a week! Many of our dedicated and satisfied customers live in the Fort Wayne area, but own second homes in other areas. Masters has 5 convenient locations to provide you with timely, efficient and quality service. Our Wifi controlled systems give you the ability to have comfortable, temperate homes at click of a button. Regardless of where home is, with Masters Heating and Cooling, you can always have the cozy home environment you desire. To give you added security, our maintenance programs make owning either a first or second home worry-free. 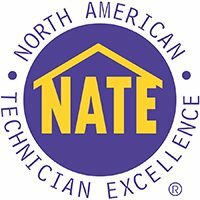 Because we are dedicated to adding value to the communities we serve, you’ll often see us supporting local Chamber of Commerce events and supporting charitable activities such as providing furnaces for the needy. We also strive to preserve the environment, which is why we’re expert in installing geothermal HVAC systems. Let our expert staff show you how a geothermal system can meet your needs, provide a return on your investment and allow you to leave a smaller carbon footprint. Albion, Andrews, Antwerp, Auburn, Churubusco, Columbia City, Craigville, Cromwell, Fort Wayne, Garrett, Grabill, Harlan, Hicksville, Huntertown, Huntington, Kimmell, Laotto, Larwill, Leo, Markle, New Haven, North Manchester, North Webster, Pierceton, Roanoke, Saint Joe, South Whitley, Spencerville, Warsaw, Woodburn, Yoder, and Zanesville.